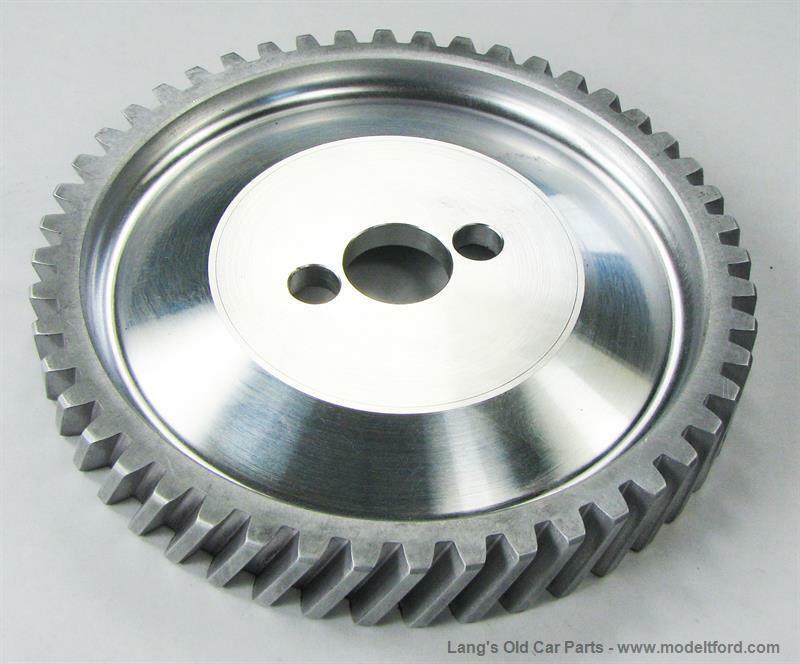 This spiral cut aluminum large timing gear has been machined undersized. 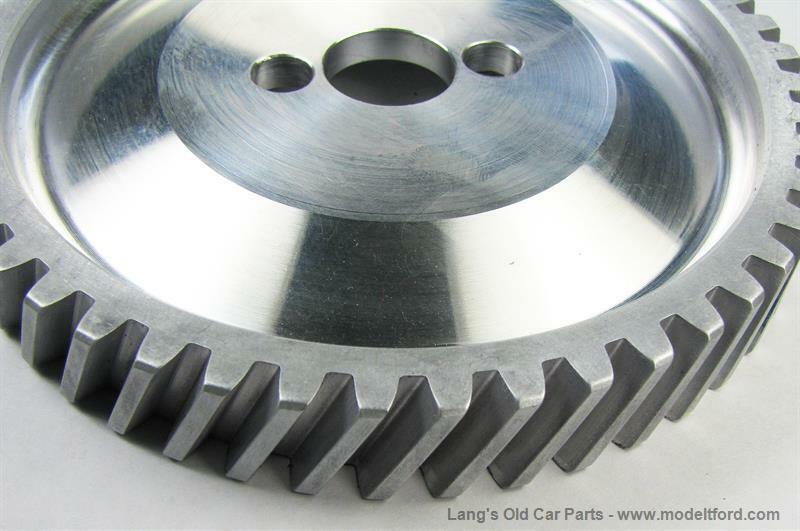 If the main bearings are worn and the crankshaft is riding high, this will give a better mesh between the large and small timing gears than the standard size large gear. 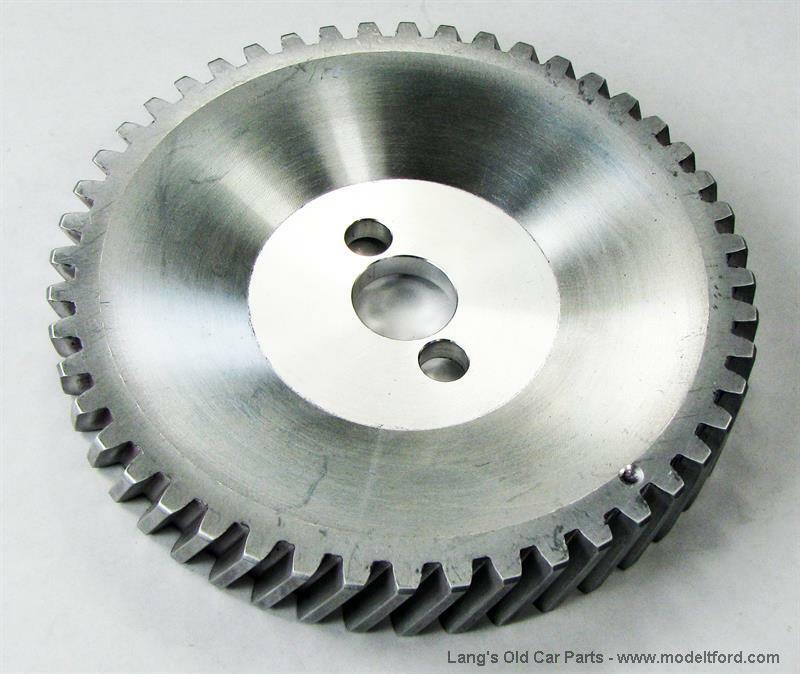 .005 undersize.